REAL Trends currently ranks Pacific Union as the No. 5 residential real estate brokerage in America and the No. 1 independent brokerage in California based on 2017 sales volume of $14.1 billion. 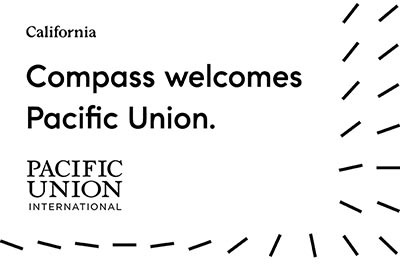 With the addition of Pacific Union, Compass’ national team will grow to over 6,400 real estate professionals representing $28 billion in sales volume in 2017.